Murals memorializing fallen youth in North Philadelphia are reminiscent of the murals for activists in Palestine’s Gaza Strip. In Philadelphia, more than 80% of murders are shooting deaths, versus 70% nationally. 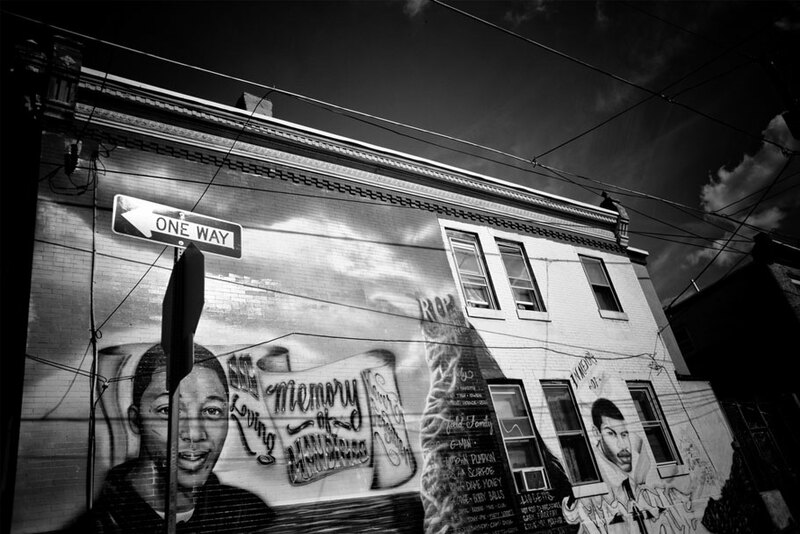 • One way in which artists respond to violence is to create murals in honor of victims. What role does public art play in the aftermath of violence in a community? What does this mural express to you?